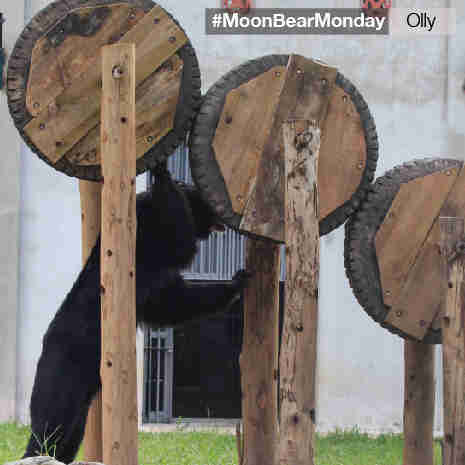 It's #MoonBearMonday again, and Olly is up to his old tricks. First he waits patiently by the wheels for his friends to disperse, he then proceeds to paw all three wheels while dog food pellets, nuts, seeds and dried fruit fall, like manna from heaven. 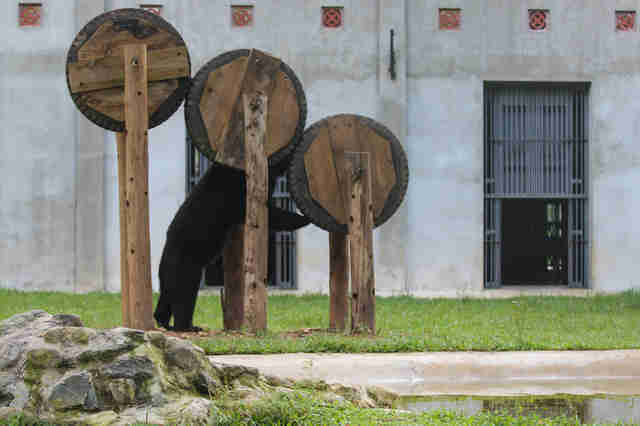 Rescued by Animals Asia as a cub, Olly has had ample time to learn the ins and outs of the enrichment environment in Animals Asia's Vietnam Bear Rescue Center. 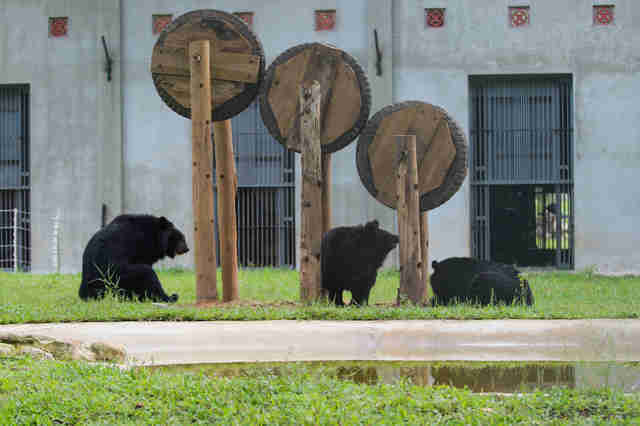 These wheels are part of our effort to enrich the bears' environments, encouraging problem solving and giving them a chance to express a wide range of natural behavior - essential for both their physical and mental well-being. 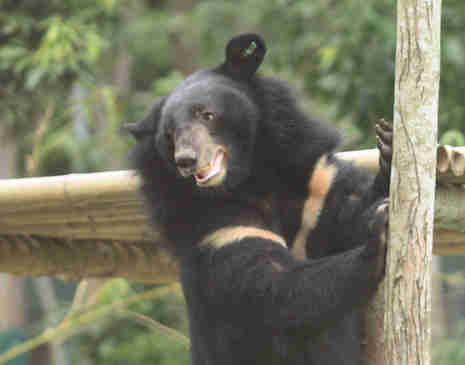 When he was trafficked from Laos as a baby, it looked like Olly was leaving a chance at a natural life behind - destined for a bear bile farm in China, where he would have faced daily painful extractions. Thankfully now he'll never know a single day of cruelty. "Olly is a really playful bear. We often have a laugh when he's climbing on a puzzle feeder, or seeking some shade under one of the enrichment wheels he's currently pawing. But that's part of what makes him such a special bear - although he knows what everything is for, he tends to find other uses. 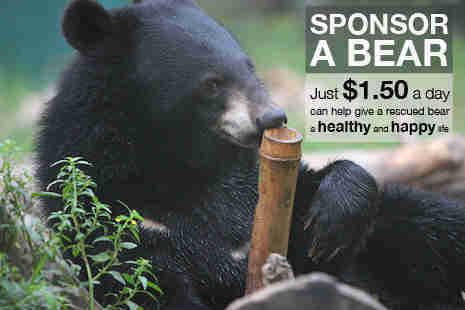 He's one of the most creative bears at the sanctuary." "Creative" he may be, but "good at sharing" ... not so much. 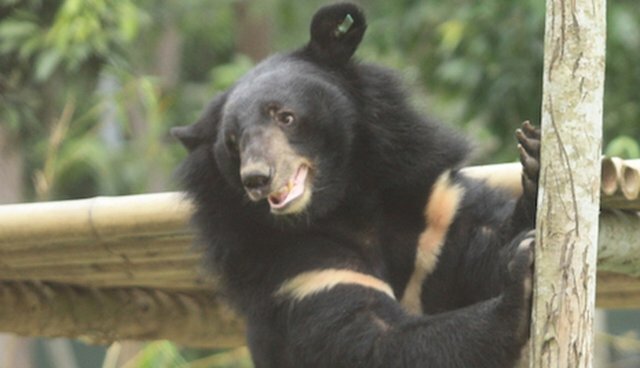 And on this #MoonBearMonday, Olly is keeping all the snacks to himself.